At no point playing The Order: 1886 did I have anything less than a great time, but equally, I did not find myself doing anything I haven't already done before. It is a vexing proposition, should a game be punished for not trying to be something it isn’t? Must all videogames aspire to push their gameplay forward somehow to be considered great? While many would say that The Order: 1886 is in some ways, a monument to proven game design, no one can argue that it does not push the boundaries of graphical presentation on consoles. It may sound like hyperbole, but The Order is without a doubt the best looking video game I have ever played. Not only does it swat even the best looking games of the new generation aside with its technical proficiency, it has a fantastic fantasy-period art style, and the entire experience is delivered with a gasp-inducing cinematic grace. 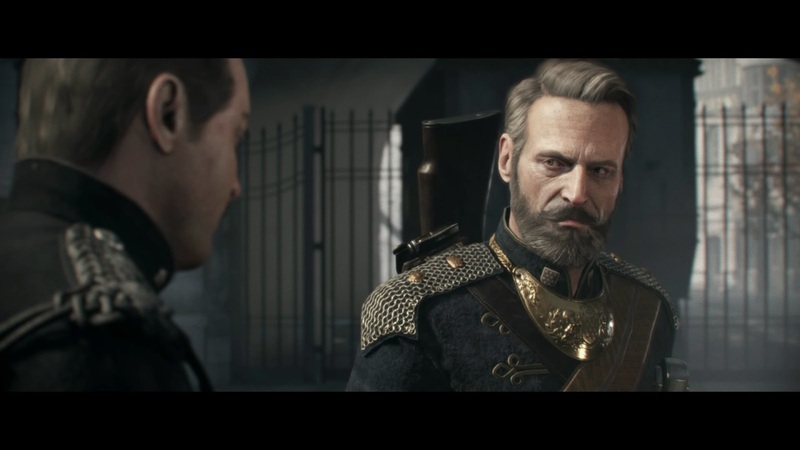 The Order: 1886 tells the story of Sir Galahad, Grayson, to those who know him best, but it is important to state it is his story, the player is only along for the ride. Galahad is a Knight of the Round Table, part of the small cadre of legendary fighters tasked with battling the tireless Lycan (werewolf) threat. Set in a parallel universe, a slightly off Victorian London, where werewolves bloody the streets and Knights wield Telsa guns while barking into flashing communicators, the world of The Order is intriguing enough to break my conditioned revulsion to the steampunk aesthetic. The Knights live artificially long lives, they recover from even the most mortal of wounds and stave of the ageing, by drinking the ominous sounding ‘Black water’. Hints to the Knights true age are dropped here and there in conversations, they never ceased to drastically affect how I viewed the characters from then on. Much of the fiction and back story is delivered this way, the truth of the world gradually seeps through as the plot, the very human-focused plot, unfolds. Some of the lore provided optionally, in the form of audio logs and items that can be inspected in the environment, this serves as another stage for the fantastic visuals to perform upon. 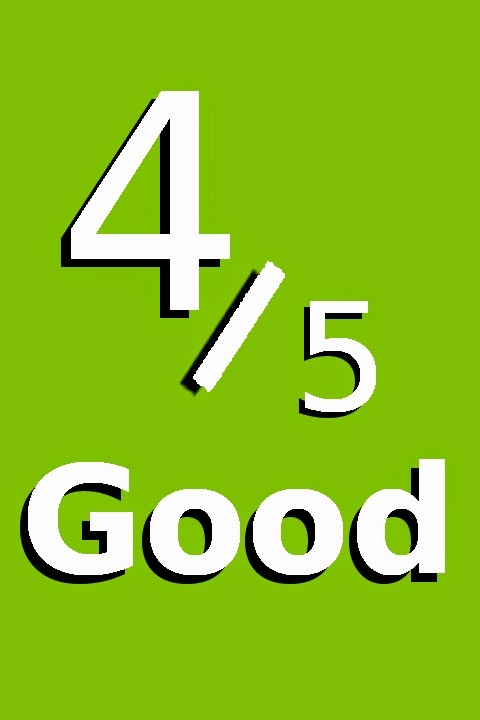 Pick up a leaflet, a flyer, and spin it around and you will see where the ink is visible through the thin, cheap paper. Tilt a photograph up to a light source and watch how the ink shines glossy, while the paper itself remains matte. Similar effects can be seen literally everywhere in The Order, frosted glass of an office door was the first effect that really stunned me; walking back and forth you can see how the glass is illuminated, but the uneven surface of the glass creates tiny dark pockets. Miniscule details like those, are what elevates The Order’s visuals above those of any other game I’ve played. 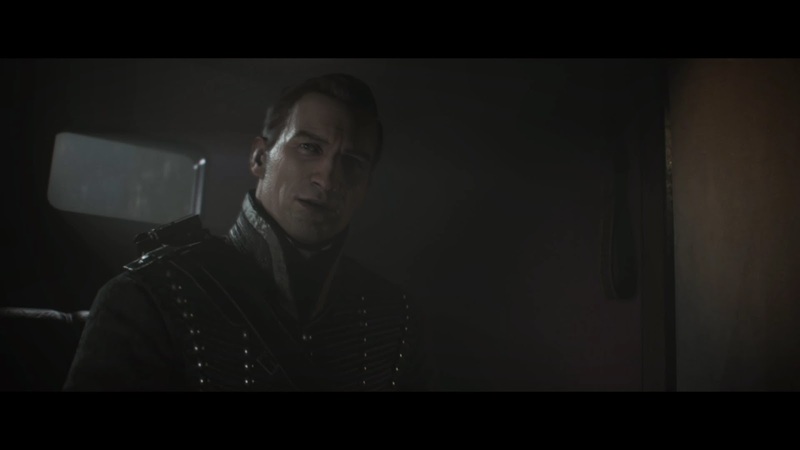 The cinematic nature of The Order: 1886 is first evident in its letterboxed presentation and is enhanced by excellent graphical effects; smooth depth of field and flawless lighting for example. But it is the characters who define the experience, both in their striking detail and first-rate delivery. Many of the characters are Knights, like Galahad they are; proud, resolute, and deceptively old. Their motivations and allegiances are not clear, but what is made obvious, is that there is dissention amongst the ranks of the Round Table. Much like the world, the characters pasts are revealed quite slowly, there is no overt dump of information and there are no forced conversations to truly establish personality. It is all weaved naturally in to the excellently paced narrative. Like all aspects of The Order, the characters look lifelike, and their dialog and deliveries sound authentic. Aside from the raw detail of the characters; the physics of the cloth they wear, or their hair, and manner they animate, both when controlled by the player or in cutscenes, is just astounding. Watching Lycans transform from their human forms into their true werewolf forms, as their clothes stretch and tear, their limbs elongate and crack at odd angles, is grotesque in the best possible way. For a third-person, cover-based shooter the vein of Gears of War, you do surprisingly little shooting. While the Gears of War comparison serves to deliver the nature of the combat, the feel of the movement and shooting was more reminiscent of the Last of Us to me. Combat is faster and smoother than Gears of War, both you and your enemies take far fewer bullets. Some of The Order’s weapons don’t even fire bullets; weapons like the lightening-throwing arc gun, or the quite novel thermite gun, unleash the power of Nikola Tesla’s creativity. Nikola Telsa is to Galahad what Leonardo da Vinci was to Ezio in Assassin’s Creed II. An enemy wielding a thermite gun is a nasty proposition - even when in cover - the first shot will engulf you in seemingly harmless thermite powder, the second shot, a flare, will light said powder. While as linear as its narrative, I enjoyed the combat of The Order, enemies at range will flush you from cover with grenades or heavy weapons, as shotgun-wielders rush you. Normal difficulty is enough to demand your attention, you can die quite quickly (and revive yourself with Black Water), but it is not particularly challenging. 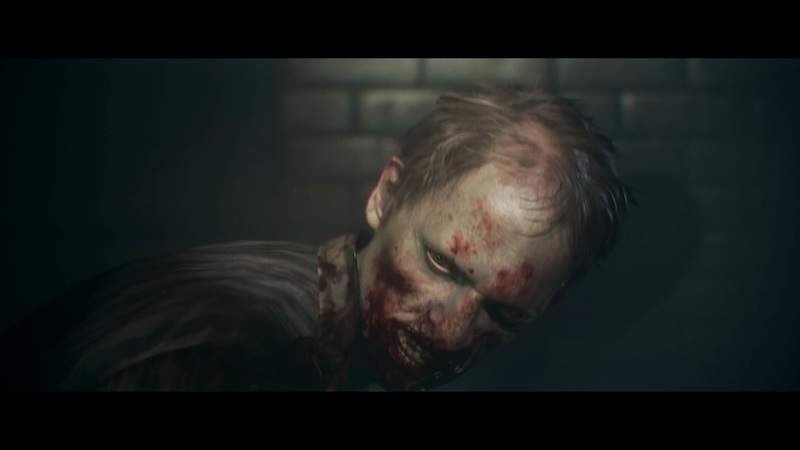 Combat really isn’t the focus of The Order: 1886, and as such there isn’t really a lot of it. Not feeling artificially padded is a major contributor to why I think the pacing is fantastic. The Order’s gameplay branches out in some divisive directions. Throughout, the game dabbles in stealth, culminating in an infiltration mission you have to pull off flawlessly - your detection results in instant gunshots to the face. Much like the games legion quick-time events, it would easily become frustrating if the checkpointing were not so generous and the reload time so fast. Quick-time events (QTE) popup in many places; dodge prompts when fighting charging Lycans, stealth kills require timing, there are plenty of more scripted ones too. The Lycan fights come in two forms; dodge and shoot nameless half-breeds, and boss fights. The former feels like a wasted opportunity, while the first encounter is fine, the second and third feels formulaic; you simply dodge, shoot, and then stab. The boss fights on the other are heavily scripted, QTE encounters, which are awesome to watch. While it is an unpopular view to take, I would much rather take a cutscene filled with QTEs, over a multistage shootout against a floating health meter, especially in a game like this, which is entirely focused on the cinematic experience. Conventional boss fights where you fill the monster full of lead simply wouldn’t make sense here. The majority of QTEs are simple button presses or mashing taps, the game avoids meters, or turning the sticks in a specific ways, like one might see in a God of War game. This is key, because there is no transition between player control and pure cutscene, QTEs could pop up at any time, so it is easy to be caught off guard, leaving little time for thought. If you had to look at your controller, or think about what your thumbs were doing, you would be missing the action on screen, which is the last thing the game wants. It took me approximately seven hours to complete The Order, which is for some, too few. However, while I wouldn’t quite describe myself as an advocate of shorter games, I very much appreciate a game that knows when to stop. Often times less is more when it comes to narrative-heavy experiences. The Order stops exactly when it needs to, the story reached its bloody climax and I was left fulfilled, but certainly eager to see where the story could go next. Unfortunately, aside from wanting to experience it all again, or find collectibles, there is no real reason to return to the game, there are no additional modes and the gameplay isn’t dynamic enough on its own to be much of a hook either. The Order: 1886 is an odd game, its entire fabric is devoted to delivering the most cinematic experience possible, which is does with great panache. But this experience comes at the cost of rather standard gameplay and a relatively short amount of content. I really enjoyed the entirety of my time with the game, I was intrigued by the setting, enraptured by the performance of the characters, and came away feeling it was perfect in length and pace. That said, if one does not enjoy its cinematic style, nor the story and world, there is precious little else worth seeing here. The Order is a gem, an exceedingly pretty gem, but one whose’ shine won’t be appreciated by all.